When CTA officials decided to begin a program that would change service on more than 60 buses and add 17 train runs, they didn't just wing it. They did their homework. Err, rather, Northwestern University students did their homework. 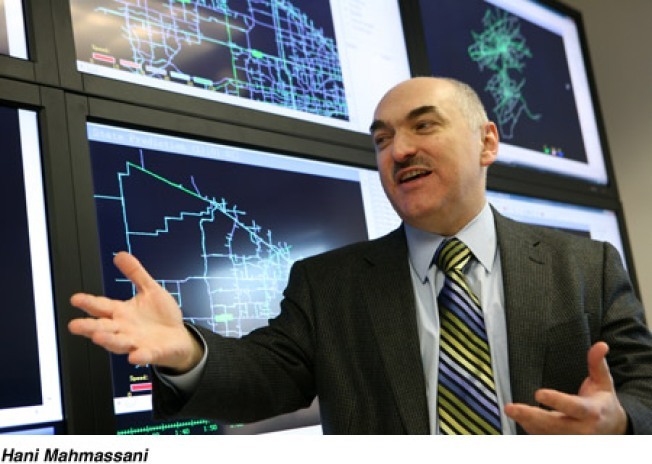 Research students at Northwestern, overseen by Hani Mahmassani, a professor of civil and environmental engineering, and the Director of the Northwestern University Transportation Center combed through data provided by the CTA to discover inefficiencies in the system. Their research led the CTA to decide on beefing up 50 crowded bus routes, eliminating 12 less frequently used. "This is a large city," says Mahmassani. "And the CTA is one of the larger, more productive transit systems in the country." That mean there were plenty of places to find loose ends. The CTA brass he worked with was determined to tackle any instances of waste. For instance, El trains are regularly packed with 90 riders per car during peak hours. According to the CTA, the target should be 70-75. The same goes for buses, which regularly see 70 riders loading popular routes, when that passenger load should be 45-55. The NU solution was to beef up where beefing was needed and eliminate where ridership was low. "They brought us in to take a fresh look at the problem," Mahmassani said. The NUTC looked at day-to-day and hour-to-hour ridership, and added to that cesspool some historical data from the past couple of years. From this information they created an "optimization model" to measure how demand responds to changes in service, and come up with suggestions to help the CTA leadership try to provide the highest level of service to Chicago (within its budgetary constraints). "We also interact with the CTA staff to learn more about certain service patterns," says Mahmassani. For example, if there was one bus route that consistently arrived late, the research team talked to the drivers for more information on factors such as traffic congestion or handicapped or bicycle loading issues that may have affected that route's performance. The NUTC has conducted sponsored research before for IDOT and a few Federal Agencies, but this was its first formal collaboration with the CTA. Mahmassani says a second phase of research has been agreed upon in principal, as the CTA looks to fine-tune it's plan to put these changes in motion in the next few months.